Forest Park is owned and operated by the City of St. Louis. 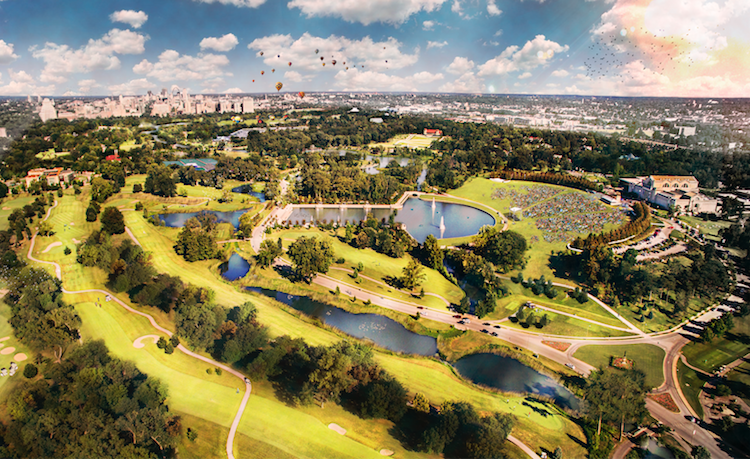 Forest Park Forever partners with the City of St. Louis to provide landscaping, maintenance, operations, education, visitor services and capital project management for Forest Park. This public-private partnership is now a national model. Are walkers and runners allowed to be on the asphalt path often used by cyclists? Yes. Forest Park's popular dual path around the Park has both asphalt and gravel surfaces. While the former is more often home to cyclists and the latter is more often home to runners/walkers, visitors are free to use either. Within the Park, the mutli-use asphalt connector paths also welcome multiple uses. All Forest Park path users are encouraged to be respectful and responsible as they share the path they're using. As a pedestrian, please be aware that cyclists, rollerbladers and runners may pass on your left – walking single file will help make room for everyone. Yes! City Cycling Tours offers a full service rental and tour service from the Visitor Center east and west lots. Are LimeBike scooters allowed on the trails? No, electric and motorized scooters are not permitted on Forest Park's trails and paths. The scooters are allowed in the streets only. Are there designated parking areas for buses with proper permits? Yes, there are four. You can view a map of them here. Looking for a downloadable PDF map?